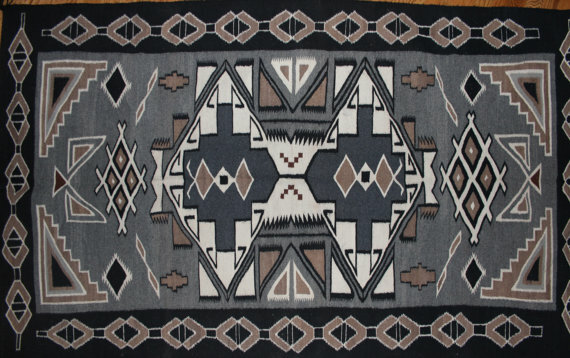 Cultural Patina Fairfax Station, Va. 703-503-8019 dlbent@aol.com www.culturalpatina.com Navajo Weaving, 7’ x 4’2”. Teec Nos Pos area rug. Complex design in greys, browns, black and white. Nice wide border. Circa 1930-40s. Excellent Condition.